Ok y'all, I'm sharing yet another outfit that I wore during our Greece trip, and I can't help but completely obsess over it! It is my absolute favorite outfit from our few days in Athens, and it is totally appropriate to wear now (especially since the weather has finally warmed up, woohoo!). But I do want to brag about this easy to wear denim jacket and these striped paperbag shorts; seriously, they're both the best! The shorts are so comfy and easy to wear when its warm outside, and of course it features a cute adjustable tie around the waist. And I don't know about you, but I've been finding some of the cutest denim jackets lately, and I have no idea what really increased this denim obsession, haha! 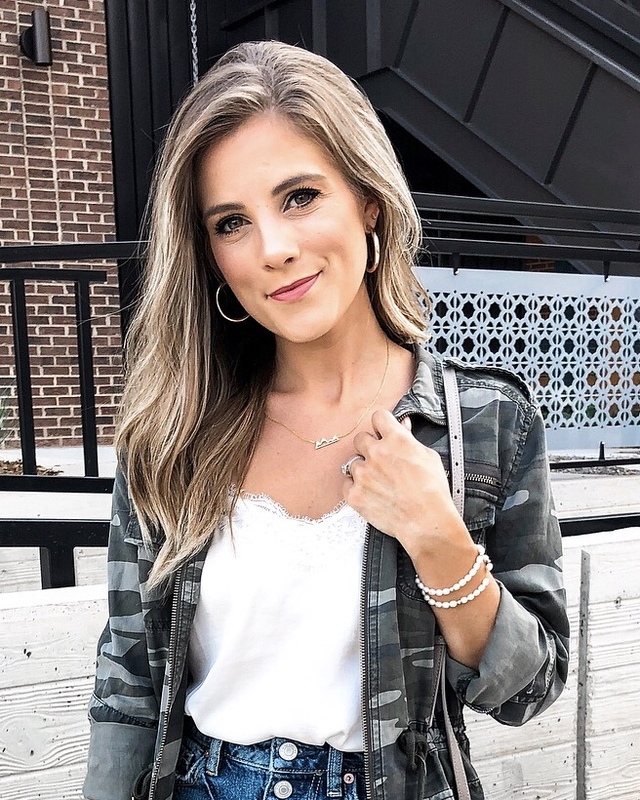 I actually own a more fitted crop one and a light wash jacket, but this medium wash denim jacket is perfect for just about any springtime outfit! I love how I paired it with the shorts, a simple white cami, and my favorite low block sandals!